Paid search advertising. For years it has been one of the most measurable advertising channels available, which means it also has provided the most opportunity for optimization. The ecosystem surrounding paid search has exploded with new analytics platforms, marketing automation tools, testing mechanisms and increased functionality and measurability. These advancements create both challenges and opportunities. For some agencies, these challenges are overwhelming, or numbing at best. At Synapse, we have enhanced our service offerings and strengthened our core competencies to meet the evolving demands of our clients. We have built proprietary statistical tools to strengthen our testing and data analysis capabilities and added resources to improve our operational efficiency. Today, we are a team comprised of CPAs, MBAs, marketers and entrepreneurs dedicated to partnering with you to achieve amazing results. 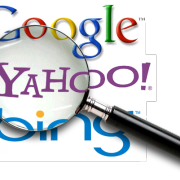 We offer best-in-class paid search advertising management services to small and medium-sized companies. We specialize in identifying growth opportunities within mature accounts and increasing efficiency within accounts that are approaching or exceeding their ROI goal. ] We seek engagements, ranging from PPC audits to on-going management services, in which we can become true partners with our clients; developing open communication and setting common goals are critical for achieving success. Want to chat? Contact us today by calling 781-591-0752 or email us at sales@synapsesem.com.